Posted by jeremyliew in advertising, business models, social media, social networks. I am a fan and subscriber to the paper version of Technology Review, but was disappointed in their cover story in the current edition, where Bryant Urstadt looks at the current state of the social network sector and concludes that social networking is not a business (free registration required). The article essentially looks at CPMs in the current business (which are low), concludes that revenues are low relative to traffic, and it might all just be a fad. 1. MySpace will fall $100m short of its revenue predictions this year. This means that it will only do $650m in revenue and only grow revenue by 100% according to Goldman Sachs. 2. Facebook will only do $50m in EBITDA this year. Maybe I’m a glass half full kind of guy, but I’d call the first two pieces of evidence pretty promising! The third is hardly surprising as very few private companies want their revenues to be publicly disclosed. And the fourth is a completely specious argument; I’m sure that the Technology Review’s website’s traffic is tiny and that its ads are bundled with that of the print publication, so any sort of comparison is meaningless. 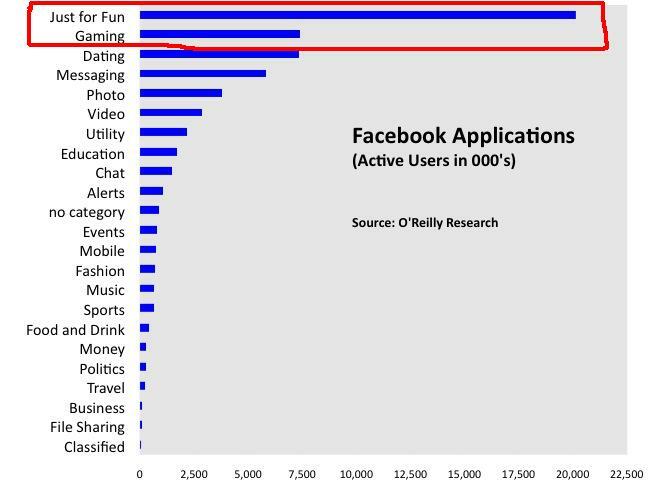 That being said, MySpace and Facebook are far and away the two most successful social media sites at monetizing so far. It is fair to say that click through rates and CPMs are low relative to other forms of online media. The author thinks that targeting is the answer to raise CPMs. I think that is part of the answer, but I don’t think it is the whole answer. It is certainly the answer for social media apps like Flixster (a Lightspeed portfolio company) and Dogster, both of which offer a very targeted audience to endemic advertisers. In these cases, CPMs are not in the sub $1 range, but are comparable to other internet media sites with similarly targeted traffic, often in the single digit or low double digit range. For the social games category of apps, likely the answer is free to play games with virtual goods models. This is the direction that the rest of the gaming industry appears to be moving towards, and social games are a subset of that trend. For the vast majority of broad reach social media sites though, I think that the answer lies in a new ad standard for social media. The thing that differentiates social media sites from other forms of online media is not just user generated content, it is also that users are willing to affiliate themselves with brands. This takes many forms, from friending Scion on Myspace to putting a Natasha Bedingfield style on your Rockyou photo slideshow, to buying one of your Top Friends a Vitamin Water. These willing user affiliations/endorsements of brands are clearly valuable to marketers of those brands. Right now though, these deals are being negotiated on a one off basis; they look more like business development deals than selling ads off of a rate card. It will take a while for the social media industry to establish standards for selling this incredibly valuable inventory to brands, but I suspect that this will happen over the next 12-36 months. In the interim though, targeting and scale go a long way. As Myspace has shown, $650m here, $650m there, and pretty soon, you’re talking about real money! Posted by jeremyliew in games, games 2.0, gaming, virtual goods. Worlds In Motion summarizes key findings from the new Parks report on gaming. The study’s numbers show that 14% of gamers currently not playing MMORPGs would be interested in playing them if they could for free, while only 2% of gamers from the same group were interested in playing an MMORPG requiring subscriptions. According to Parks Associate’s director of broadband and gaming, Yuanzhe (Michael) Cai, the barriers to entry with subscription-based MMORPGs, such as time and money, are too high for potential customers. Free-to-play models, however, offer flexibility and enable players to choose how much they want to invest based on interest level and play patterns. Thus, the firm believes that microtransaction models have the best potential to grow the U.S. MMORPG audience. I continue to be very bullish on the free-to-play/digital goods model for gaming companies over the next few years. Posted by jeremyliew in advertising, user generated content, video. Professional Web programming yields very high CPMs, the report found. 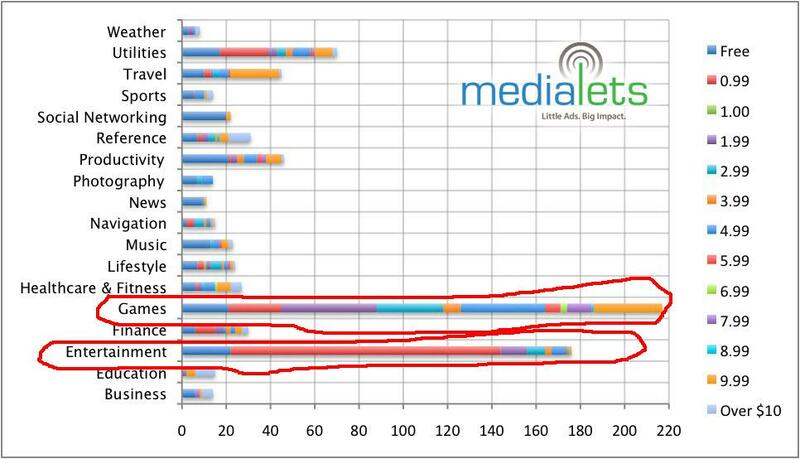 The CPMs for long-form online content are $40 today and will reach nearly $46 in 2013. Meanwhile, CPMs for short clips are clocking in at about $30 and will rise to a little over $34 in five years. The CPMs for user-generated video will have the smallest rise, from only $15 today to about $17 in 2013. While many have viewed this negatively because User gen video ad rates are lower than professional programing, I think that $15 CPMs with no content creation costs sound pretty good to me! Inside Facebook has a good post about how to not screw up your A:B testing that is a useful reminder about how many tests you need to run before you know that the results are statistically significant. Thus, if you did this number of tests and found that the difference in action success was greater than (p1-p2), then you would have a 95% confidence level that the design being tested is responsible for the increase in success rate, and you would move to a new best practice. # Scheduling the test to neutralize time-of-day and day-of-week effects. # Serving users from countries that are of interest. One thing that immediately emerges from this formula is that you don’t need that many tests to determine if a new design is working. For example, testing a design that anticipates increasing success from .5% to .575% only needs about 52k tests. For apps and websites that are at scale, this does not take very long. The danger is that, because of the overhead of putting up and taking down tests, “bad” test designs stay up for too long, exposing too many users to a worse experience than usual. While some people consider A:B testing to be splitting users into equal groups, there is no such requirement. I’d advise developers to size their test cells to be x% of their total traffic, where x% is a little more required to hit the minimums calculated above over a week. This neutralizes time of day and day of week effects, minimizes the overhead of test set up, and ensures that not too many users are exposed to bad designs. It also allows multiple, independent tests to be run simultaneously. Posted by jeremyliew in apps, facebook, iphone. Girls (and boys) just want to have fun. Posted by jeremyliew in games, mmorpg, Runescape. – 250 RuneScape shards for up to 2,000 players each. Unlike many MMORPGs, player characters are not bound to a single shard. – Main player demographics: 60 percent are from the U.S., 25 percent from the EU, smaller percentages from Australia/New Zealand and Canada. Player age typically 8-20, approximately 80 percent between 10-16.